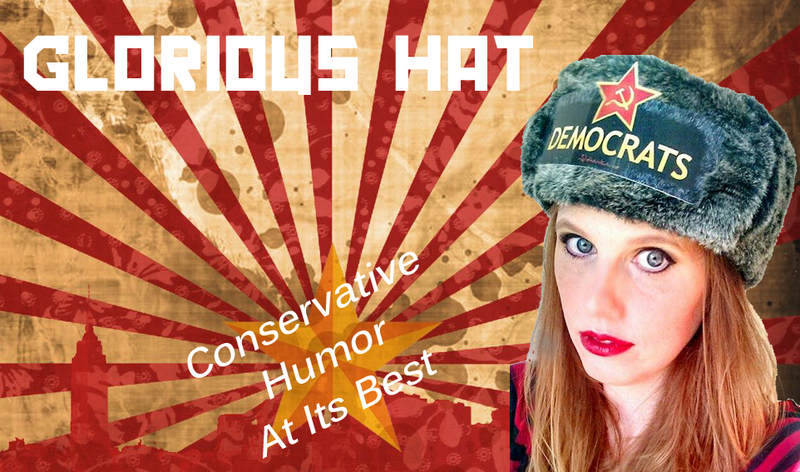 This site is named after the famous Ushanka hat. Ushanka [oo-shan-ka] Noun. Russian translation: Hat for Ears. Husband, father, and Cubs fan whose interests include conservatism, national security, business, entrepreneurship, the history of Communism, cigars and the defeat of America's Marxist left. Served in the Army Reserves, both enlisted and commissioned. Been employed at Fortune 500 companies and startups. 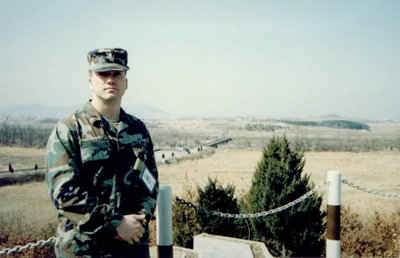 Karl is pictured above at the Korean DMZ, February 2993. The blog is a place for Karl to vent, and to post guest posts from people who've experienced Communism up close. The substance of Ushanka is mostly along the left. See the Library for a list of excellent books, many reviewed by Karl. See the Cinema section for a list of movies in the Communist History Genre. Glorious Hat, formerly The Commie Obama Hat, is the ultimate political novelty. Mocking the Left is its goal, and there is no comparison. 2006 - Karl works at a major mortgage company in California and is outnumbered by liberals at work - frustration #1. He is annoyed at said liberals whose only knowledge of current events is what they read in the headlines at Yahoo - frustration #2. He sees the direction the Democrat Party is going under the new speaker, Pelosi, - frustration #3 - and decides to do something about it. Ushanka is born. He publishes his first MSM Election Analysis video that demonstrates the liberal bias in the MSM. 2008 - Karl is unemployed after the subprime disaster, but not before he embarks on a new venture: Glorious Hat. Karl attends CPAC 2008 - the Glorious Hat debut - and speaks with CNN (above). He later attends both conventions, and publishes his second MSM Election Analysis of biased headlines (later deleted by YouTube). 2010 - Karl lives in Ohio, and works for a startup. Obama is president. Karl attends two tea parties - March 2009 and April 2009. He publishes his third MSM Election Analysis video. 2014 - Karl publishes articles on Inflation, Resistance, the IRS scandal, Leadership, and Infanticide. He publishes his fifth MSM Election Analysis video. 2016 (Current) - Karl continues to sell Glorious Hats. He publishes articles on the Ebola breakout and on Race issues in Cincinnati. He was active early in the Trump vs. Cruz hysteria among Republicans. and get imprisoned for it.